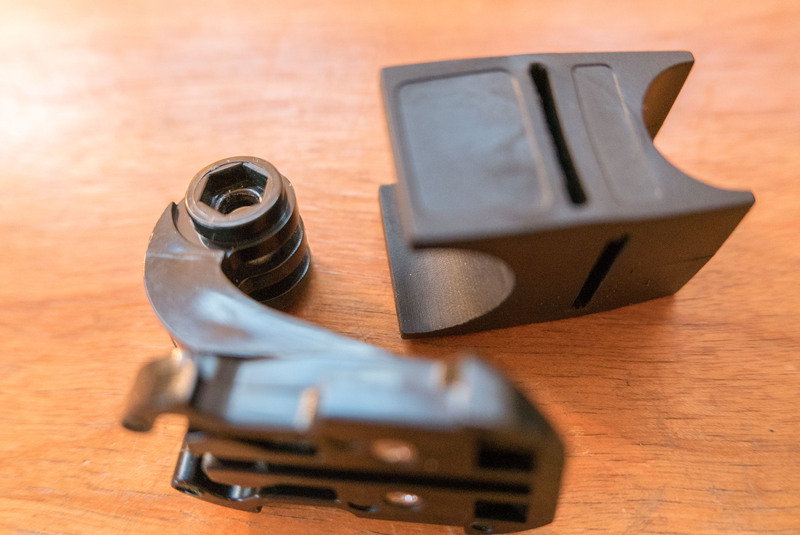 This how-to concerns making an adapter to hold a flashlight on a standard gopro mount. 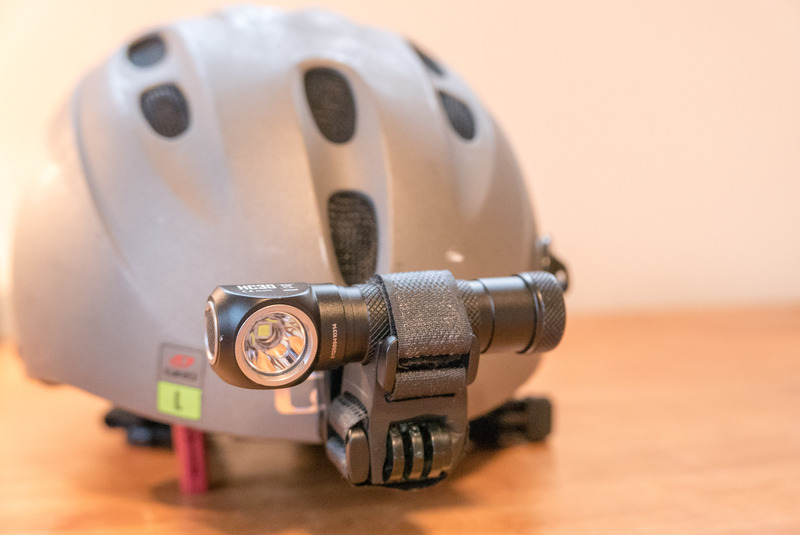 It allows you to mount a flashlight to a helmet or anywhere else you’d need a securely mounted flashlight. There are a few 3D-printed gopro flashlight holders on thingiverse.com, but they all seem to be either bulky or fragile and all require a screwdriver for installation and removal. 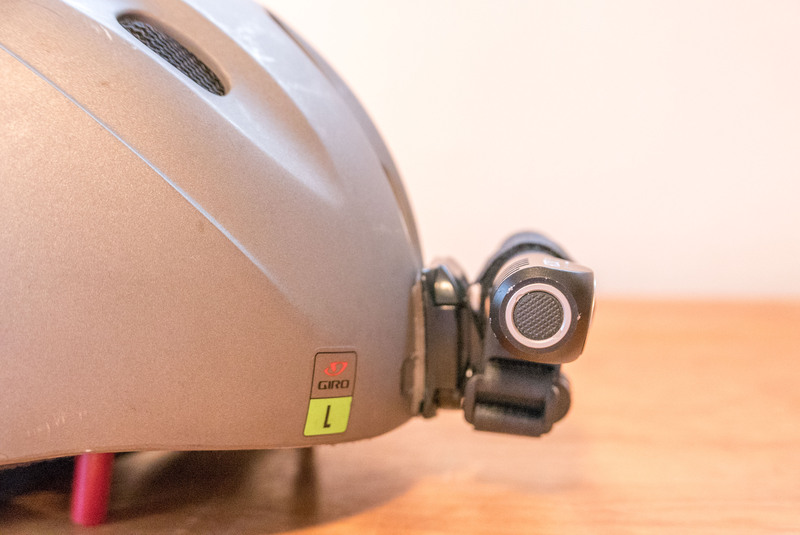 My design uses a gopro mount, is secure, and forgiving to abuse. 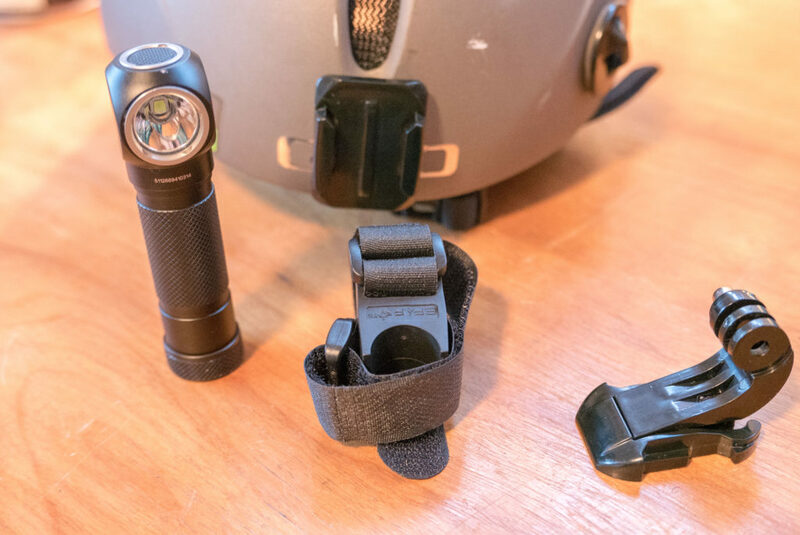 It uses velcro to accommodate many different flashlight and makes removing the flashlight very quick. 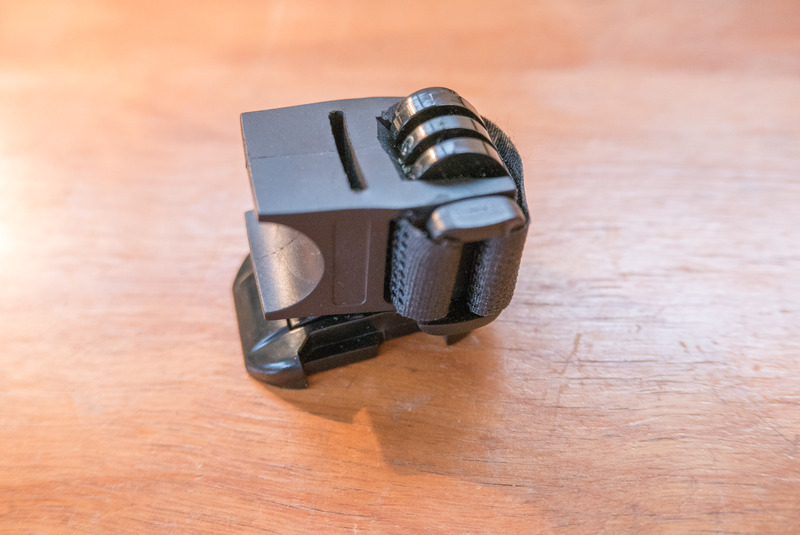 I used a dremel to make a notch in the GoPro buckle to hold the flashlight mount. 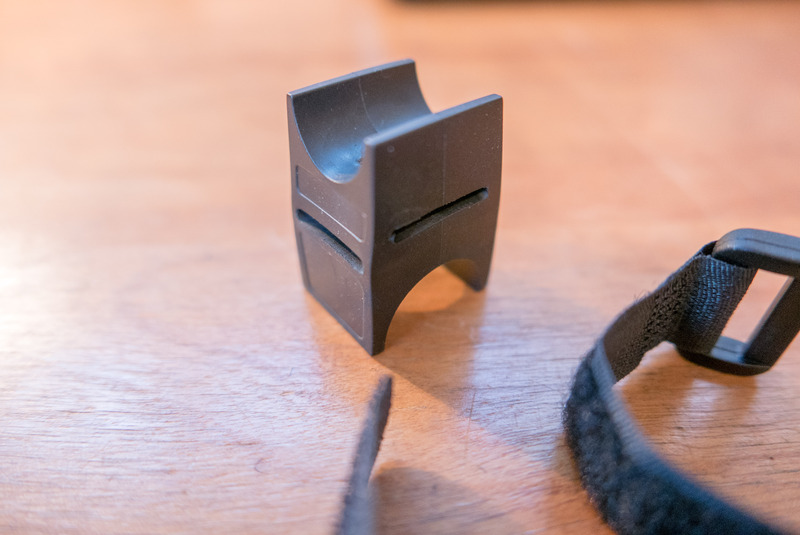 I used an exacto knife to trim the flashlight holder too. After this trimming, these two parts fit together very firmly. I trimmed the first velcro strap to length and reattached it. Next, I trimmed and added the second velcro strap. The entire adapter is shallow and doesn’t stick far away from the helmet. 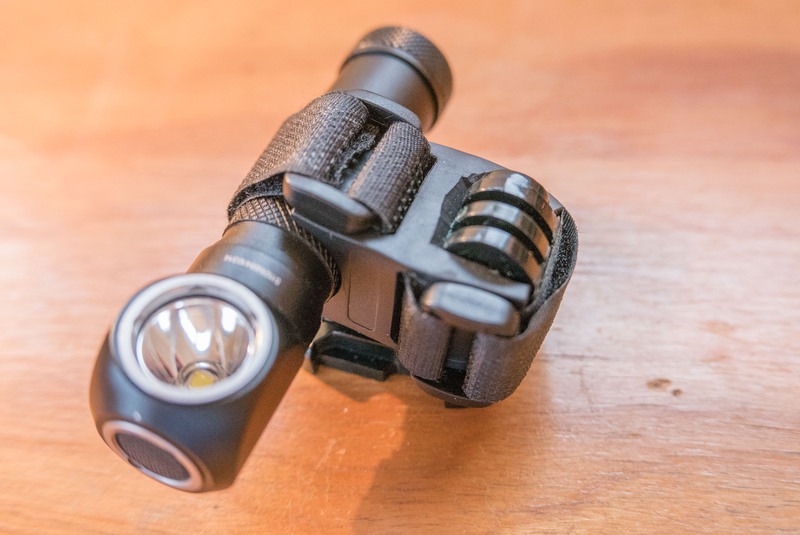 The flashlight can be adjusted and removed very quickly. 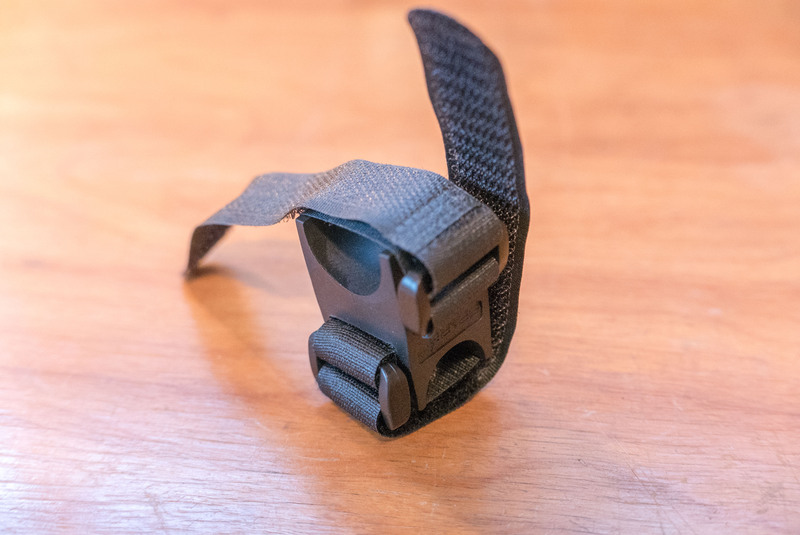 It is very secure and the rubber and velcro is forgiving to any impact. 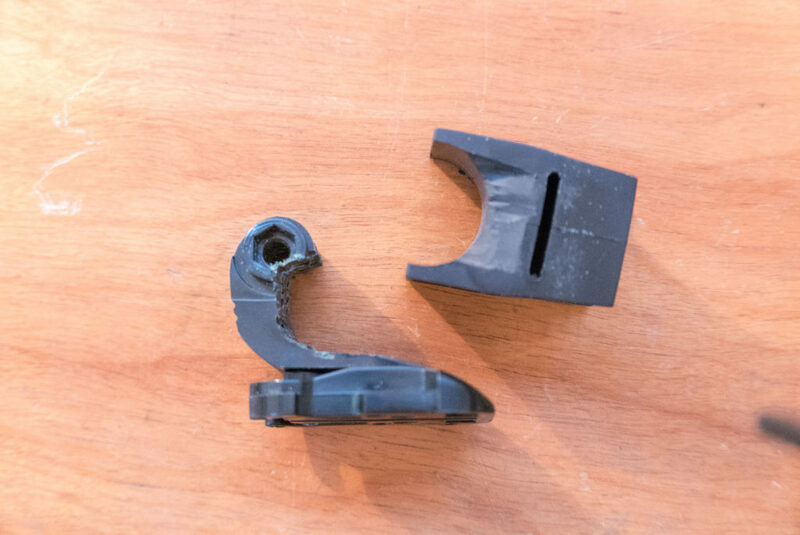 The 3M adhesive will fail long before the flashlight adapter.